Fast food workers are fighting for -- and often winning -- higher wages. And that's made restaurant executives and franchisees nervous. But the CEO of one well-known chicken chain has a message for her competitors who are complaining about minimum wage hikes: Get over it. "Everybody in retail is dealing with an increase in minimum wage," said Cheryl Bachelder, CEO of Popeyes Louisiana Kitchen (PLKI). "We will adjust to increased costs just like we have before. Life will go on. There's been too much hubbub about it." Bachelder said it's not really that productive for her, Popeyes store owners or others in the industry to spend time worrying about increased calls for a $15 minimum wage. The candidates for president have touched upon the issue too, with most Republican contenders arguing against a big minimum wage hike, while Democrats Hillary Clinton and Bernie Sanders have pledged to boost it. But wages are heading higher regardless of what voters decide. "Labor costs are going up. When Target (TGT), Walmart (WMT) and McDonald's (MCD) moved wages higher, the marketplace moved with them," Bachelder said. "I'm a big believer in free markets and the market has acted." Mind you, Bachelder isn't eager to see an immediate jump to a $15 minimum wage. 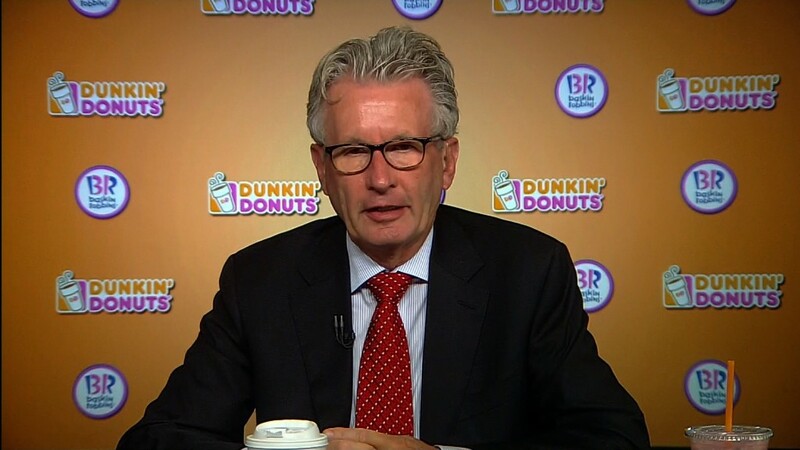 She understands why colleagues such as Dunkin' Brands (DNKN) CEO Nigel Travis have been more outspoken about the industry's concerns over rising labor costs. Travis even told CNN's Poppy Harlow this summer that a $15 minimum wage is "outrageous." But to Bachelder, rising wage costs are no different than other increased expenses that are out of her control, such as the cost of chicken wings and other food commodities. "We are used to making adjustments over time. Going to $15 an hour overnight is not plausible," she said, but added that many companies should be able to deal with wages around $10 without a problem. So far, it looks like Popeyes is doing just that. The company reported an 8% increase in profits for the third quarter on Wednesday -- despite a 16% increase in costs related to employees. Shares of Popeyes rose more than 6% Thursday on the news -- a day when the broader market was sharply lower. Popeyes has plenty of competition from McDonald's and other hamburger chains. Then there are ones that just focus on chicken, including Yum Brands (YUM)-owned KFC and recent IPOs El Pollo Loco (LOCO), Bojangles (BOJA) and Wingstop (WING) -- not to mention privately held chains with cult followings like Chick-fil-A and Zaxby's. But sales are growing at a healthy clip and Popeyes is gaining market share in the increasingly crowded quick service and fast casual restaurant business. And even though higher labor costs present a challenge, Bachelder said her company's franchisees aren't complaining. "Profits make you happy. Our franchisees have been making a lot more money," she said. Bachelder is even hoping that Popeyes, which currently has more than 1,800 stores (mostly franchised) in the U.S., will be able to more than double that to 3,700 restaurants in the next few years. So it's refreshing to see the CEO of one national fast food chain still discussing ambitious growth plans instead of whining about having to pay higher wages to its workers.